Envie Infinite AA 2100mAh Ready to use & Rechargeable Batteries with Low Self Discharge Rate. 80% charging remains even after 1 Year when not in use. Can use straight from the pack. Ideal for high drains devices like Digital Camera, Walkman, Flash Light, Remote, Electronic Toys, MP3/MP4 Players. 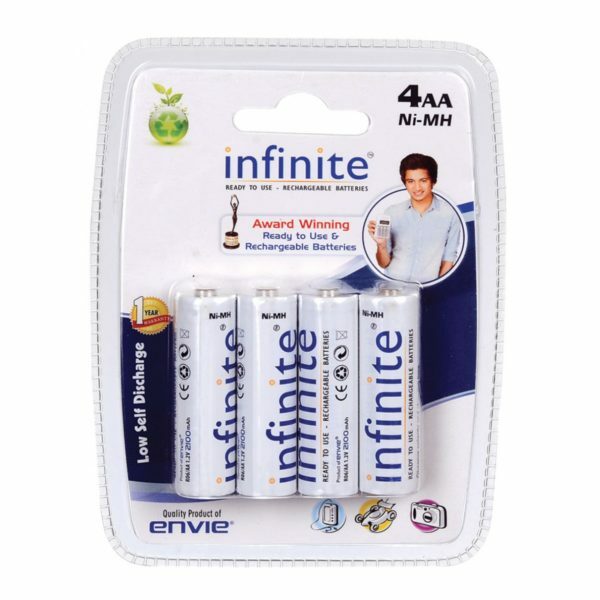 Envie AA 2100 4PL Infinite Battery is a set of 4 AA Batteries. Have a current rating of 2100mAh.